Part of The Last Word Festival celebrating fearless storytelling. 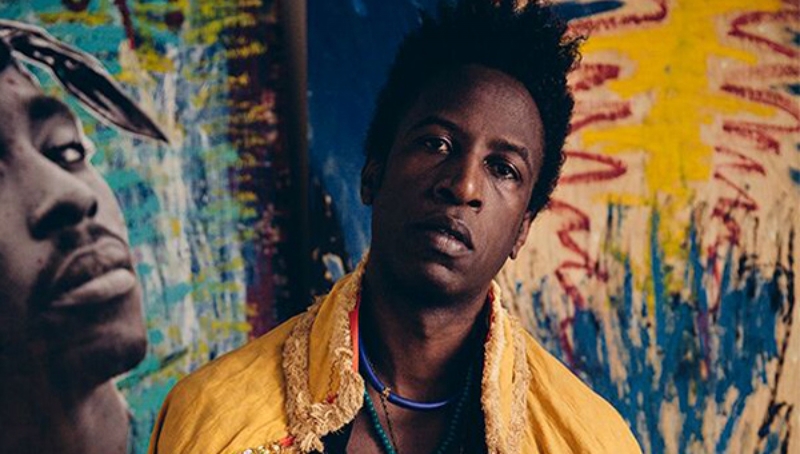 American rapper Saul Williams performs his only London tour date. Renowned for fusing elements of poetry with hip hop, punk rock, soul, R&B and techno, Saul Williams will give an unmissable night of spoken word and music, with work drawn from album MartyrLoserKing. It is a talent, along with making complex, intricate music that wedges itself into the listeners’ consciousness, that few can rival Williams at. MartyrLoserKing’ is an album that makes you angry in the best possible way. This may not be for everyone, hell, it may only be for the brave, but if you take the ride you’ll be vastly rewarded. THESE MTHRFCKRS from MartyrLoserKing on Vimeo. *Fees are £2.20 per order.